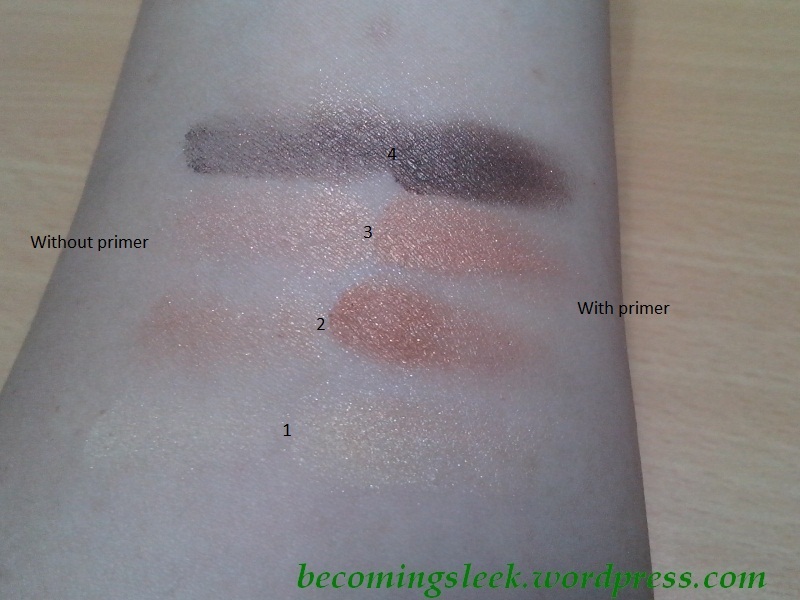 At long last, I finally found the time to review my current HG eye primer. 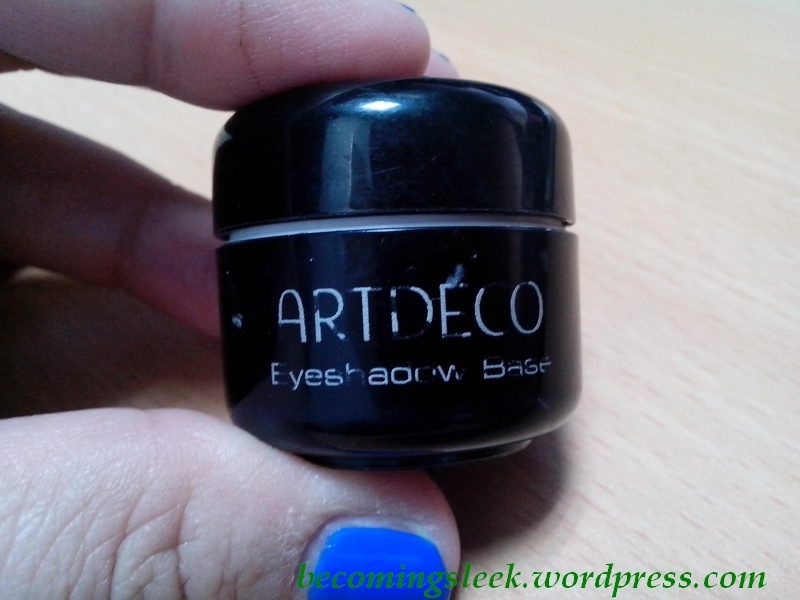 I first heard of Artdeco Eyeshadow Base from Liz of Project Vanity, where she praised its performance. It’s readily available at Beauty Bar branches around the metro, and is quite affordable at Php450. I bought it way back in early April this year, and it’s been through a lot. Unfortunately I misplaced my photos back then, and am only left with the above through my instagram. I don’t have a photo of how the product itself looks when it was still new. After five months, this is how the tub looks. Most of the white print is erased. 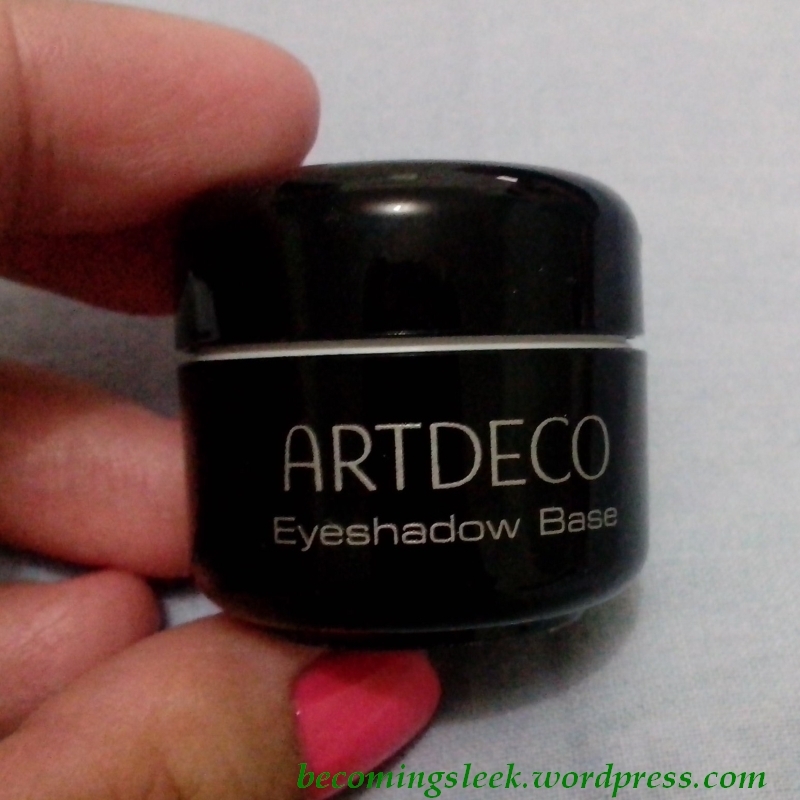 This is how often I’ve used Artdeco Eyeshadow Base (almost everyday!) and is possibly the most used and abused item in my arsenal. Inside you can see that the product is almost gone. I use my fingers to apply it on my lids; a little unhygenic, yes, but I make sure that my hands are clean before every use. One of the things I really like is the scent. 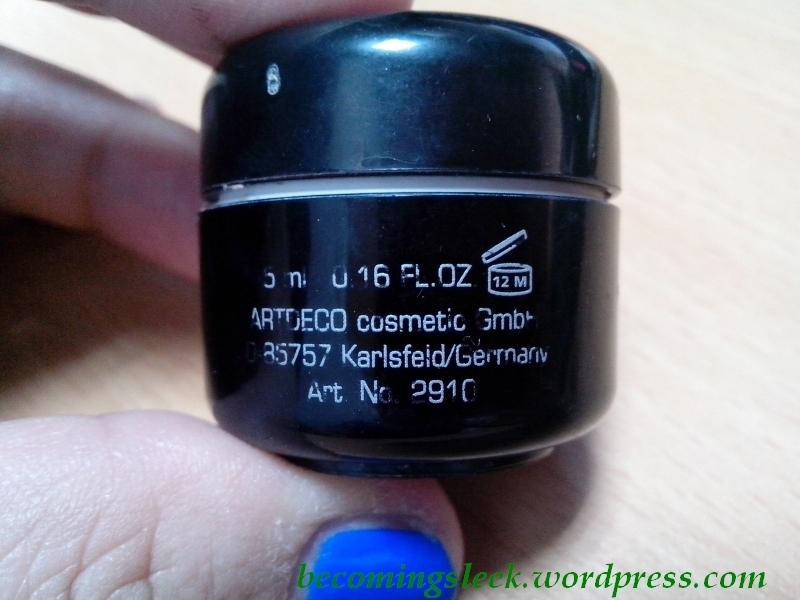 It’s a nice floral scent that disappears once applied on the lids. 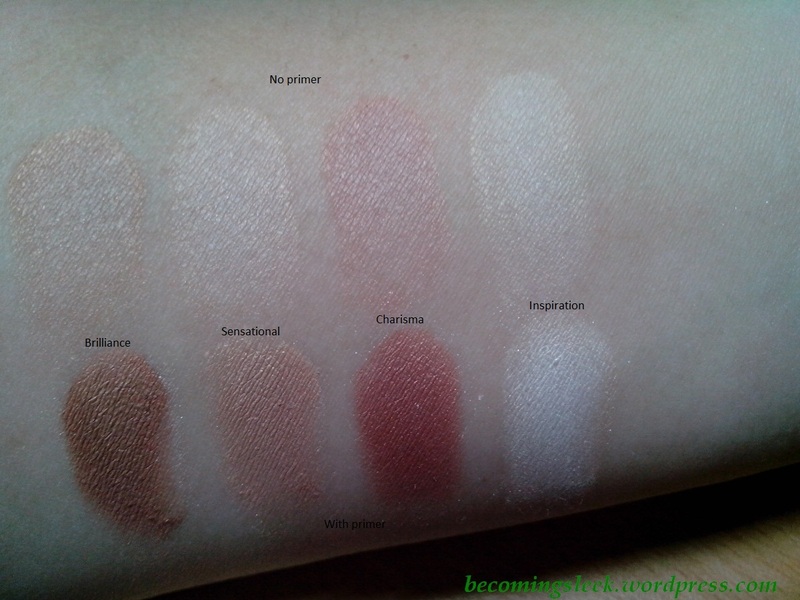 Here are some swatches. 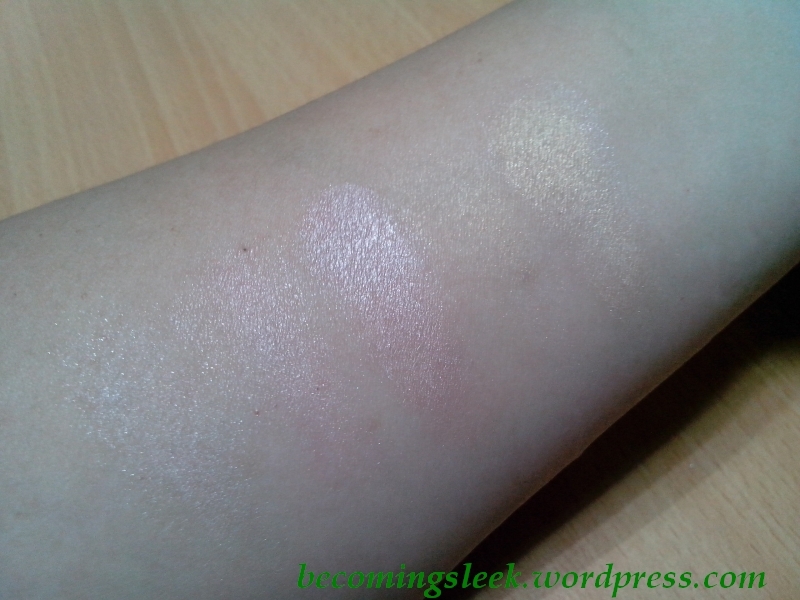 The leftmost one is the eyeshadow base alone. 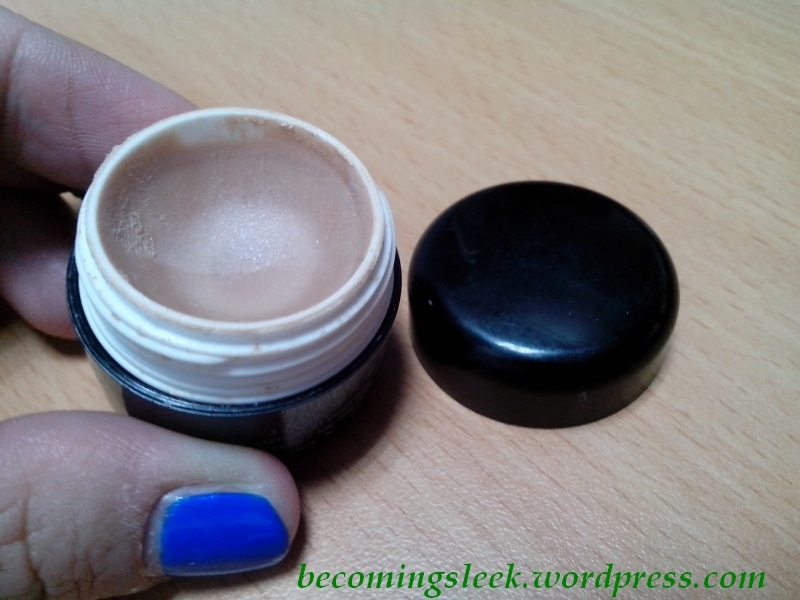 As you can see it’s barely visible so it blends quite well into the lids. 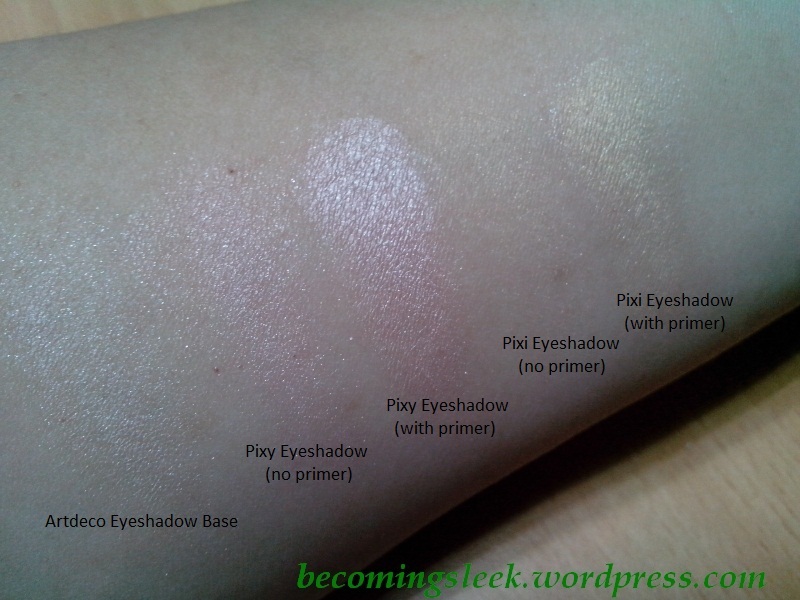 I used two light eyeshadow shades to show how this primer performs. Sidenote: I swear I didn’t do this on purpose. I just realized what I had done when I was labeling this image! Anyway I used a pink Pixy eyeshadow and a bronzey-yellow Pixi eyeshadow to show that the Artdeco primer really does bring out the pigments. It does not alter the shade, but rather intensifies it. The pink shadow still appears pink, but it’s now more visible against my skin. Same with the yellow one. 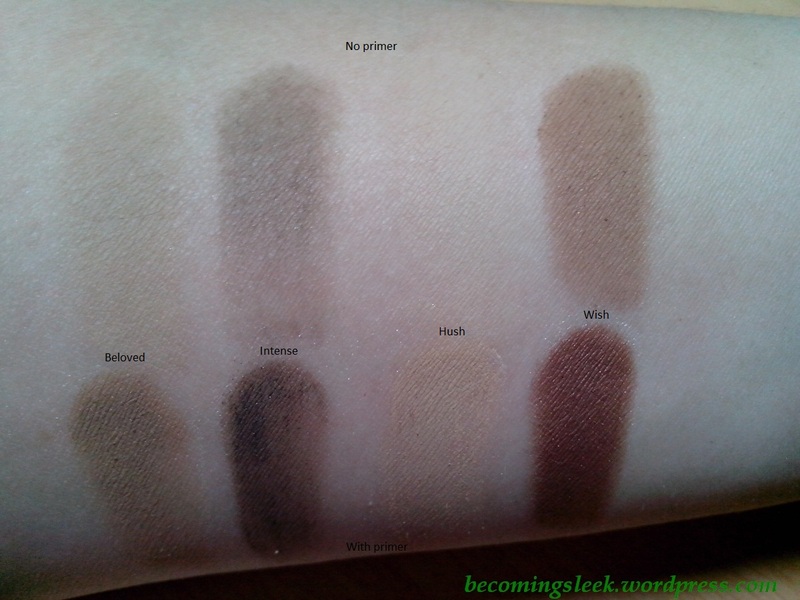 Here are some more examples of the Artdeco Eyeshadow Base in use. Artdeco is cruelty-free. The Eyeshadow Base is available at Beauty Bar for Php450. There seems to be a new version that goes for Php550. I haven’t gone to a Beauty Bar lately so I don’t know which one (or if both) is available in-store. 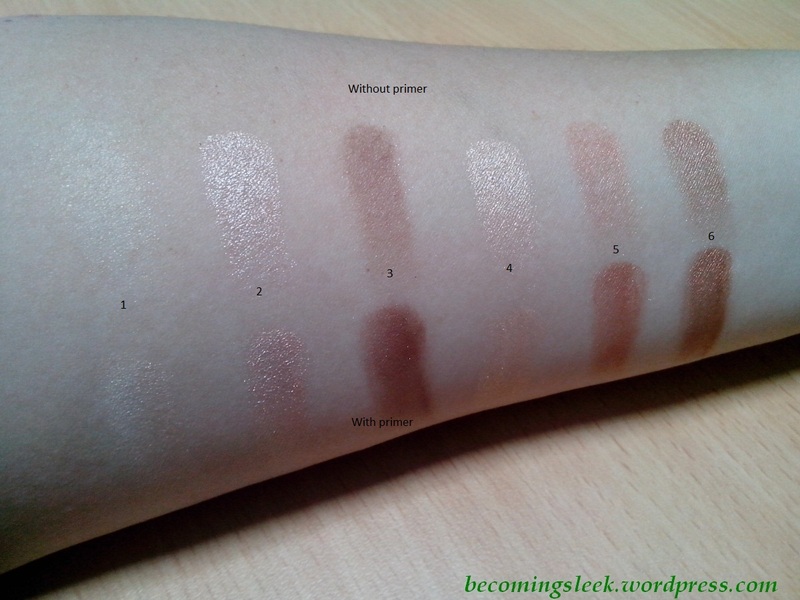 The glimmers don’t really show up so it’s a non issue, unless you will be wearing it by itself (which is possible!). My pleasure! It’s a really great discovery! It’s awesome! I would like to pit it against the cult favs such as UDPP and see how it fares. Wow, just wow! I mean, look at the difference! Woooh! I’m definitely getting a hold of this! Thank you so much! So worth it! I’m slightly panicking nga because mine is running out. I need a backup! I wonder how this performs when layered with concealer? No caking? Thanks Pat! I’m convinced na.